1. You get to use fun bright colors. 2. You can add candy to literally ANY set and it totally works. And I love candy. 3. If you mess up -- no you didn't. Add eyeballs and it's now a monster. 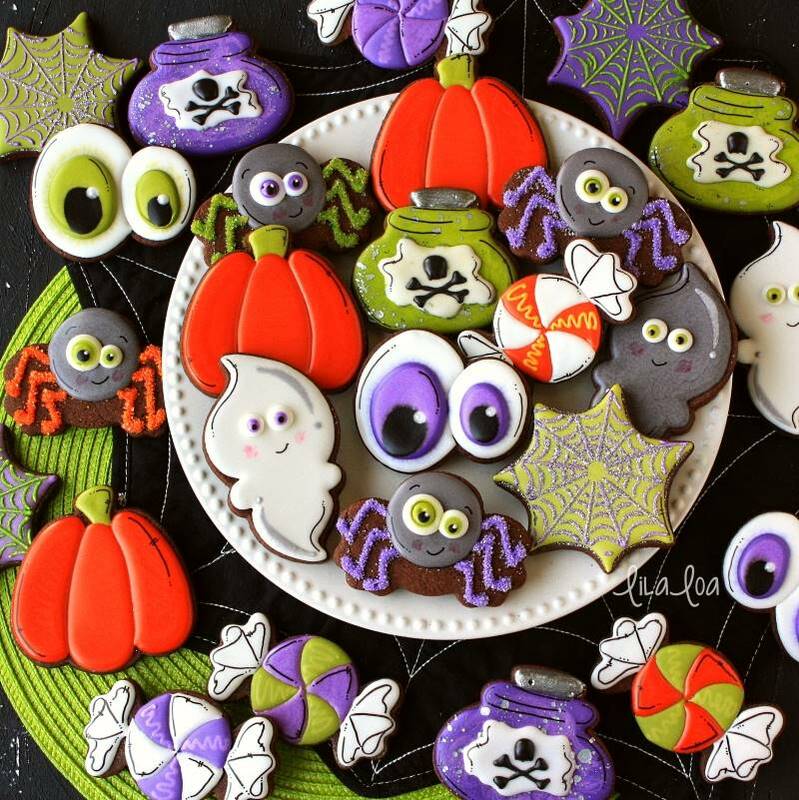 And my favorite Halloween cutters from Sweet Sugarbelle are all of these things! I love them so much that I wanted to give some to one of you!! But real quick before you scroll to the bottom and enter to win your new favorite Halloween cutters... I have a little story to tell you. Because I want to. That's why. If you saw my hand cutting post a few weeks ago, you may have seen a very similar candy image that I was hand cutting. 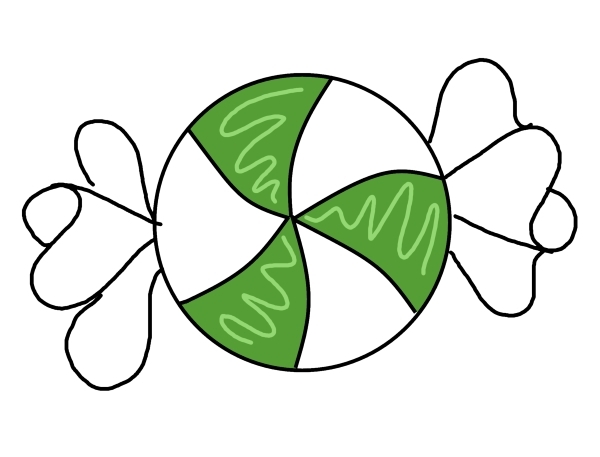 I got wrapped around the idea of the edges of the wrapper looking a certain way. So I went all crazy and hand cut. 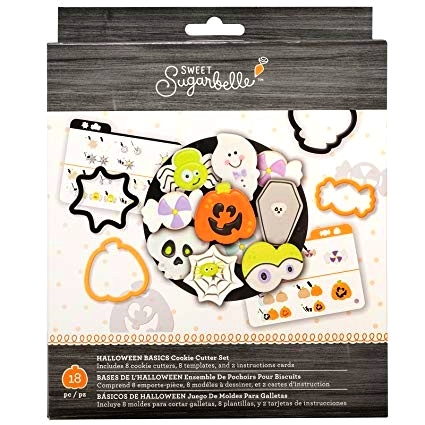 And then I pulled these Sweet Sugarbelle Halloween cutters out last week, I realized it was almost EXACTLY the shape that I had been hand cutting. So on the off chance that you also have this candy image in your head and just needed one for your KopyKake or Pico to get the details just right...here you go. And now back to the giveaway! Just click that easy entry button to enter! Giveaway ends at midnight on October 3, 2018. Must be 18 or older to win. Winners will be notified within 24 hours via the email address used to enter below and must respond within 48 hours or a new winner will be chosen. (Please, PLEASE use an email you check often!!!) Once the giveaway closes and winner has responded via email, the winner's name will appear in the rafflecopter widget below. Giveaway open internationally. Good luck!! Not feeling lucky? Grab a set for yourself or a friend from FLOUR BOX BAKERY or on AMAZON.